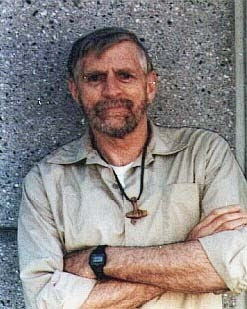 David Lane was arguably the best known White political prisoner of our time. Out of print for ten years and extremely rare, Lane's revolutionary writings are presented as a collection in a beautifully illustrated volume. Author of the 14 Words credo, Lane died in the super-max federal penitentiary at Florence, CO serving 190 years for resisting the genocide of the White race. Undaunted by his plight, unshakable in his convictions, and caught in a world which unabashedly condemns White survival, David Lane has emerged as an insurgent icon of a turbulent age. thank you i've wanted to read decieved,damned,and defiant for along time but copies of the book sell for $400 dollars or more online. i will make sure my copy is distributed to those in my area. Does this contains the columns where he really unloads and blasts the comrades that still follow Christian Identity? Previous THOR site is archived.